Remembering the particulars of where SUITS left off the first half of Season 5 can be a bit of a challenge. Here's everything you need to know. For those of us who aren’t Mike Ross, remembering the particulars of where SUITS left off in August can be a bit of a challenge - especially when everything is eclipsed by a big bomb like Mike’s arrest. The first thing we recommend is re-watching episode 510, “Faith,” but if you don’t have time to do that before this week’s premiere, here are the key things you need to know. 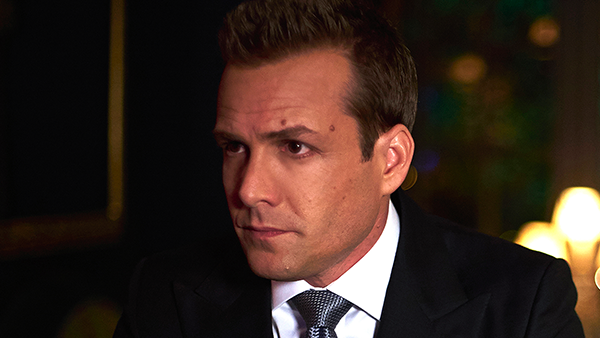 It’s been a rough patch for Harvey Specter, who loses both Scottie and Donna in a relatively short period of time. Scottie, who reaches her limit with Harvey’s secrecy, exits the firm (and Harvey’s life) even after he shares with her the truth that Mike isn’t a lawyer. And Donna, Harvey’s most trusted confidant, decides to leave Harvey’s office when things between them become too complicated - to work for Louis! Jack Soloff, who is in cahoots with Daniel Hardman to take down Jessica and Harvey, calls for a meeting of the partners so they can vote on whether or not Jessica should step down as managing partner. Louis warns him that Hardman is a snake, but Jack is fed up with what he perceives to be Jessica’s preferential treatment of Harvey, calling for a vote anyway. To Jack, removing Jessica is the only way he’ll ever get his name on the wall. Trevor Evans, Mike’s estranged drug-dealer friend who hasn’t appeared since season two, agrees to meet with Mike to talk about the upcoming wedding. To everyone’s surprise (that is, Mike’s and ours), Trevor is married and living his life on the up-and-up. He tells Mike that he can’t attend the wedding as long as Mike continues to lie about being a lawyer. Trevor also encourages Mike to visit Father Walker, their childhood priest, who pushes Mike to confront his secret. After a fair amount of soul-searching that includes honest conversations with Claire Bowden, Trevor, and Father Walker, Mike decides to resign in order to give his marriage to Rachel a fresh start. He realizes that his big lie is not only standing in the way of Rachel’s dream wedding while complicating her relationship to her parents, but also implicating her if -- and when -- the secret comes out. Harvey’s history with billionaire Charlie Forstman is a long and tumultuous one. The main thing you need to know is that they hate each other -- and that Forstman is sitting in prison because of Harvey. 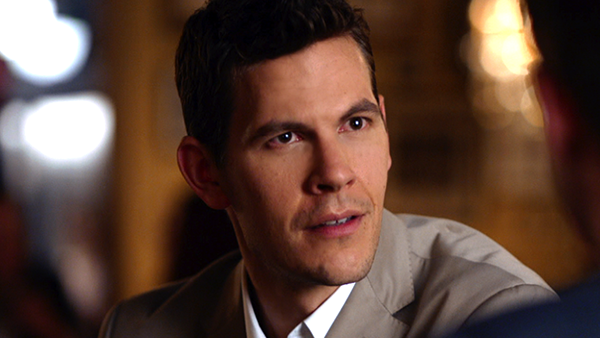 Funding Daniel Hardman’s coup against Pearson Specter Litt, Forstman offers to stop only if Harvey quits. Harvey decides to put the firm’s interests ahead of his own, agreeing to the deal. He shows up at Jack’s partner vote and delivers a letter of termination between Forstman’s company and Hardman. Shortly after sharing with Rachel that he’s resigning from Pearson Specter Litt for the sake of their relationship, Mike walks smack-dab into authorities who arrest him for conspiracy to commit fraud. Rachel watches in shock and horror as Mike is escorted from the office in handcuffs. Be sure to watch the SUITS premiere on Wednesday, January 27 at 10/9C on USA Network!